Every year, I have hundreds of conversations with students and their families about their dreams for college. Because my focus is on financial planning, I’m quick to point out that a liberal arts education is one of the best investments you can make. It has lifelong value. At Juniata, you’ll attend classes where everyone—professors, staff, coaches, fellow students, even many of our alumni—will know your name. You will have every chance to engage with them and your peers as you face intellectual challenges and grow as a leader, scholar, and community contributor. 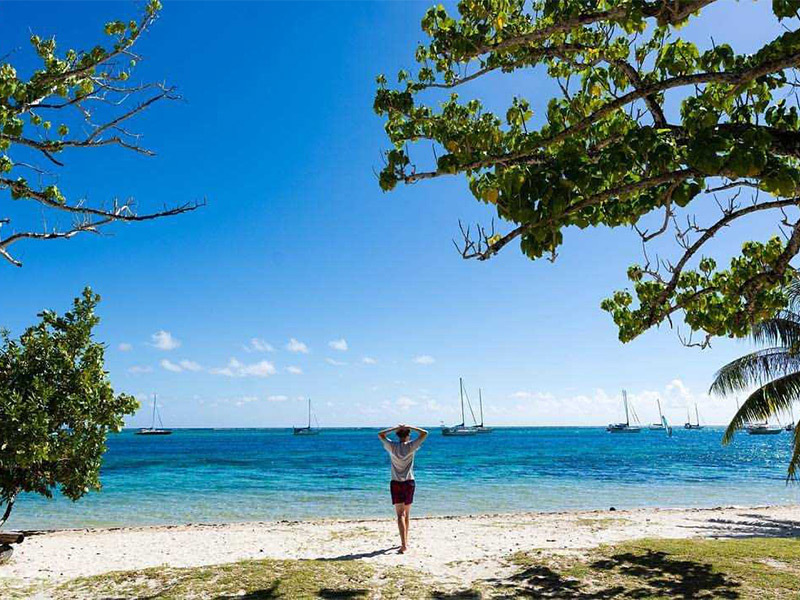 That environment is a big part of the reason that 90 percent of our graduates are employed or in graduate school within six months of graduation. 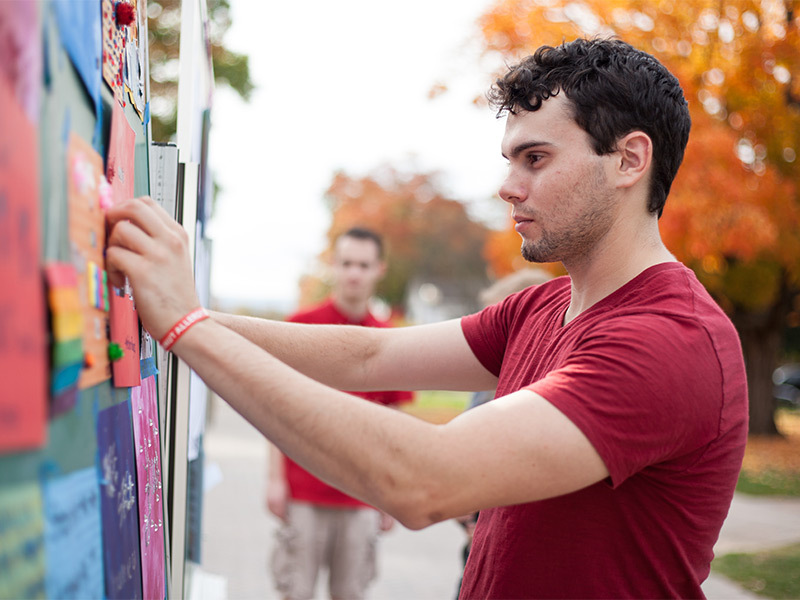 At Juniata, you’ll be taking advantage of an education that will help you build lifelong meaning and happiness—and that is something worth your thoughtful investment. Although learning ways to manage the cost of a college education can be stressful, I believe in Juniata and the process by which we partner with families. At every step of your journey, we’re always only a phone call or email away—even if you are still deciding which college to attend. Beware of misconceptions. 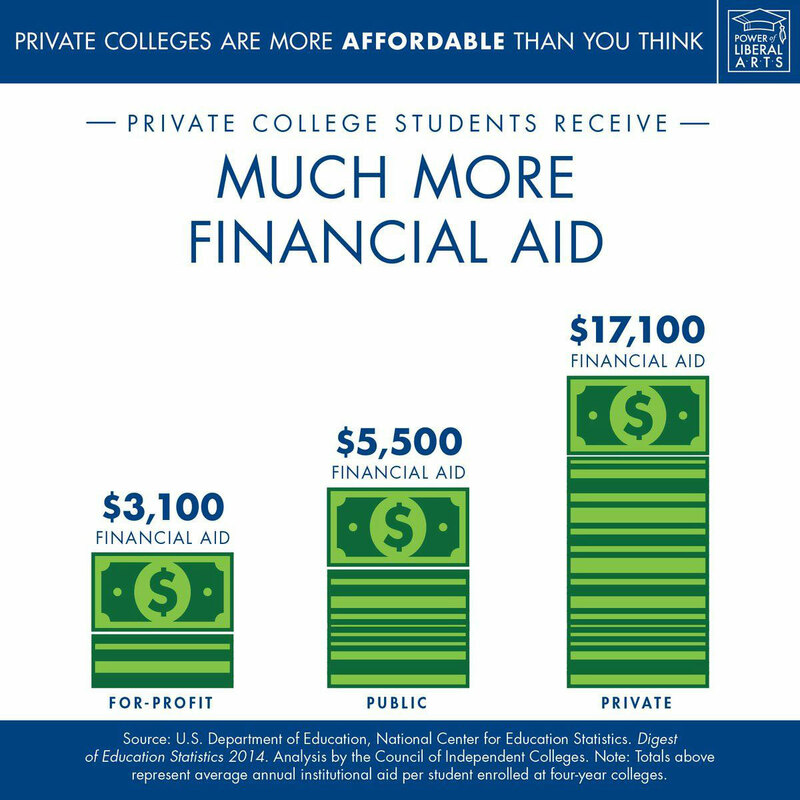 People have the misconception that it’s too expensive for most families to afford the cost of a private liberal arts college. Private colleges award $17,100 per student in grants, compared to $5,500 per student at public colleges. Source: Digest of Education Statistics, 2014, National Center for Education Statistics. The truth is that Juniata provides a generous amount of aid. Last year, the College awarded $29 million dollars in financial aid and 98 percent of the students attending Juniata receive merit or need-based aid. Juniata’s academic scholarships range from $16,000 to $25,000 and are renewable each year you attend our College. Juniata can be very affordable. Fill out the Free Application for Federal Student Aid (FAFSA). 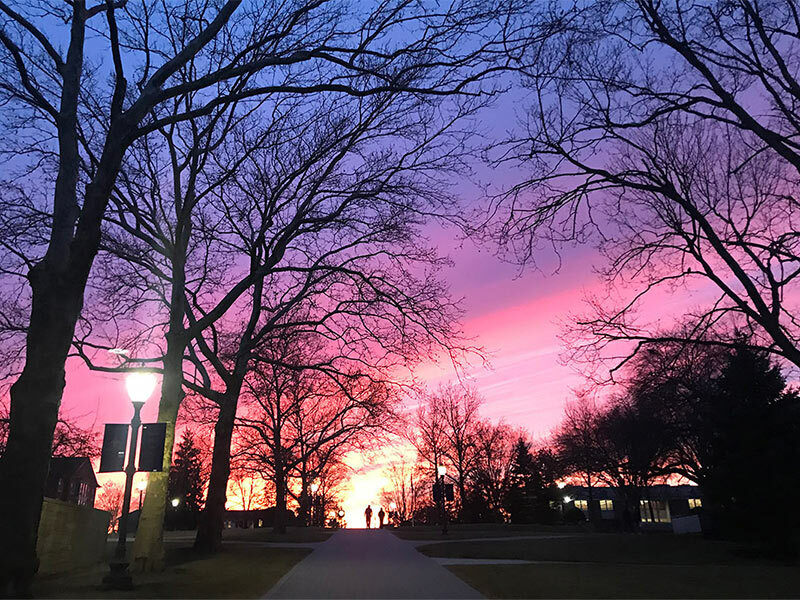 Applying to Juniata will enter you into consideration for merit scholarships, which are awards given based on your academic or extracurricular achievements and abilities. To be considered for need-based aid, submit the FAFSA. It can be completed anytime after October 1, 2016, and is available here: https://fafsa.ed.gov/. We recommend that you submit the form as early as you can in the fall of your senior year in high school. Most importantly, fill out the FAFSA even if you don’t think you will qualify for aid. Many families are surprised to learn just how many resources are available to them. Make sure you are comparing apples to apples. Every college or university will send you (and your family) a financial aid award letter, spelling out the scholarships awarded to you and revealing your cost. At Juniata, this is only the next step in our conversation about how you can manage the cost of education. Although I can—and will—offer you loan suggestions, payment plans, and work study options to help you finance your education, my best advice is this: make sure you know what you are comparing when you contrast one college’s aid package with another. Let’s consider how much of your aid is grants, how much is work study, and how much is loans. In short, let’s look at your costs to attend Juniata together, in much the same way you will partner with other staff and faculty during your time at Juniata. 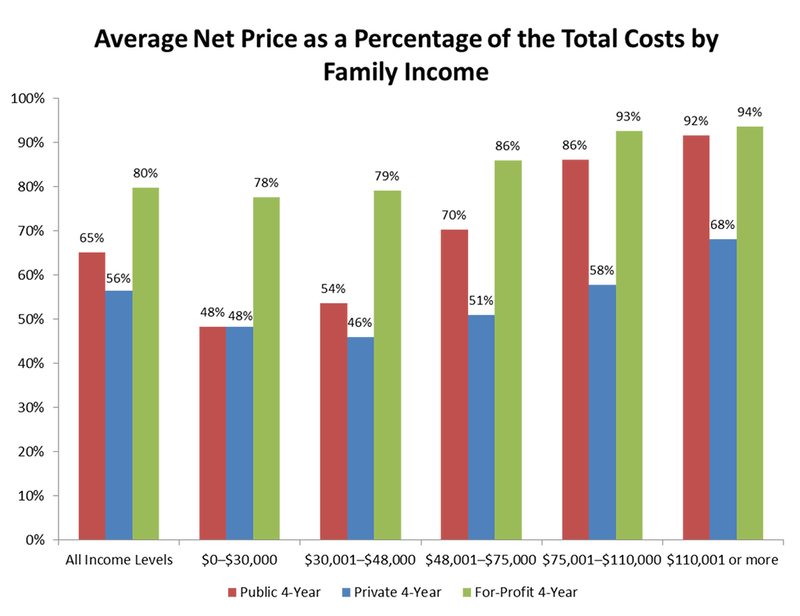 No matter what your family's income level, data shows that the average net cost of a private liberal arts college can be the same or lower than what your family may pay at public or for-profit schools. Source: National Center for Education Statistics (NCES), 2015, Student Financial Aid, Academic Year 2013–2014; 2014–2015 constant dollars are represented. Analysis by the Council of Independent Colleges. At Juniata, we partner with families to understand the process of affording a college education. From filing your FAFSA and decoding your award letter to helping you find the best loans and payment plans, my counselors and I will talk you through the financial aid process. We can help you figure out how to take care of the cost of a college education—we’ve done it for thousands of families and are excited to partner with yours. Interested in what Juniata may cost for your family? Enter your financial status into our Net Price Calculator and take a sneak peek into a potential aid package at Juniata today: www.juniata.edu/npc.